Honorable Mention – Contest Recipe 2009! Making fruit crisp has just become the easiest! 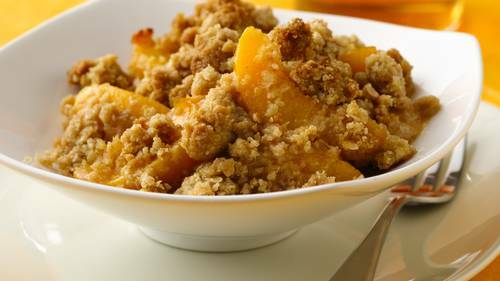 With three ingredients and 10 minutes, you can have a cozy fruit crisp ready for the oven. In ungreased 8-inch square baking dish or 2-quart round casserole, place peaches. Sprinkle cookie mixture over peaches.